This week has been filled with mom groups, play dates, professional photo shoots, preschool, ECFE, a cancer walk, and a whole bunch of other randomness. My favorite parts were getting outside to enjoy the crisp "almost spring" air and, most definitely, our brief moment on Friday night where we got to be Angie and Dave, not Mommy and Daddy, for a few hours. We went on a double date with some friends for dinner and a play. 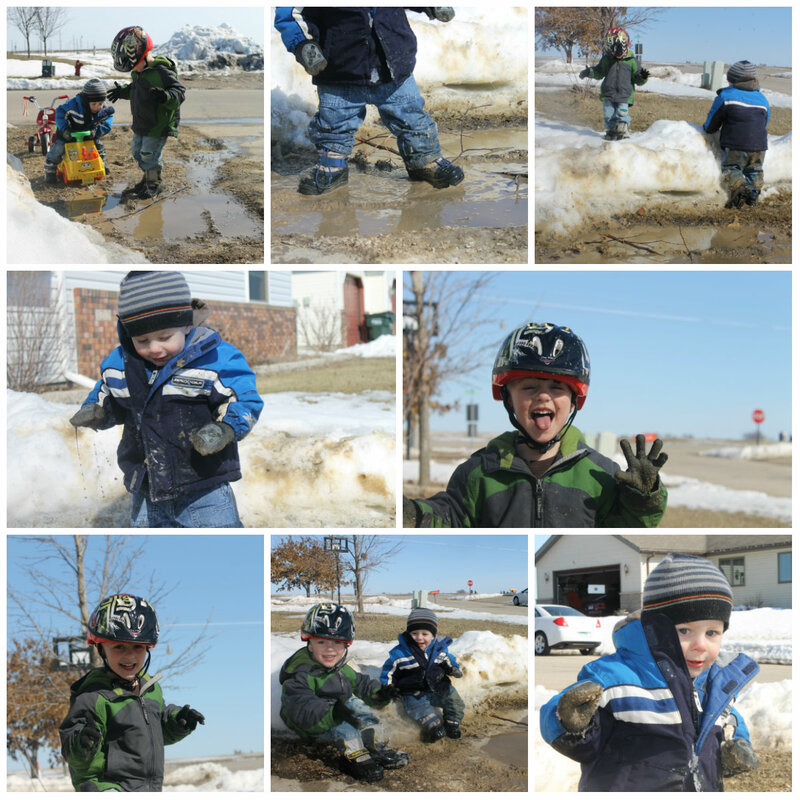 Here are the boys eyeing up that oh-so-tempting mud puddle in our front yard. I was a mean mommy and only let them throw snow into it. They very much enjoyed this muddy, messy, ooey, gooey playtime. I guess I'm not such a mean mommy afterall. Each April we participate in our community's cancer fundraiser, the Fools Five race. Since cancer has preyed on many of my loved ones, this is a very personal cause to me. The first year our team consisted of myself, a one-year-old Spencer, my very pregnant friend and her daughter. Since then we've added members. 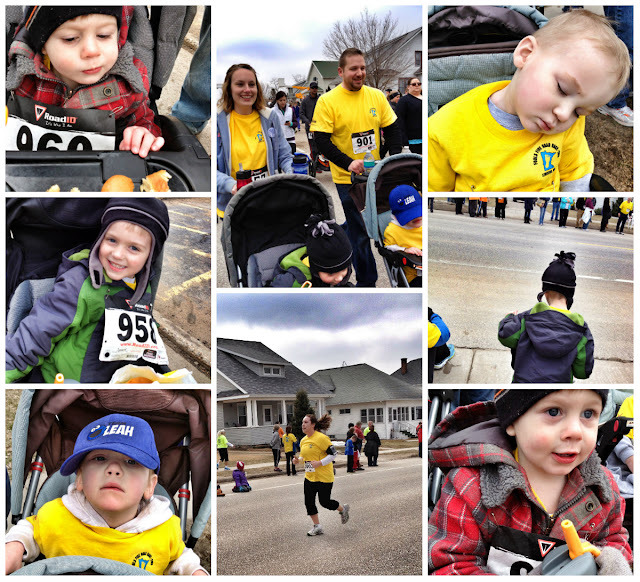 And this year Ann left us slow one-mile strollers to join the 8k runners. This week we also busted out the pom poms again for some more number fun. Spencer matched the colored dots on the numbers and then counted them to determine what the number was. Then both boys colored and stamped on a numbers coloring page.